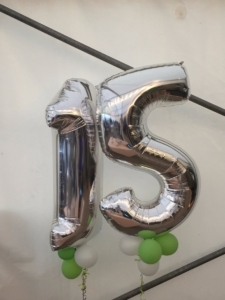 They say ‘time flies when you’re having fun’ and this certainly applied when we spoke to Innova Solutions owners, Glenn Dunleavey and Spencer Kelly, recently as the company held its 15th Anniversary celebrations. ‘It seems like only yesterday when Spencer and I set up Innova Solutions with the sole aim of targeting a few select markets and delivering an unbeatable service.’ Dunleavey told us, going on to say ‘Our first strapline, which is still underpinning our raison d’etre today, was ‘Making Life Easier’ and we set out to achieve this by making ‘Yes’ our stock answer and finding, re-sourcing or making any product our partners needed to make their operation more efficient and cost-effective.’ It seems that every business has issues from time to time with either products or services that they procure from external sources, often as a result of difficult or indifferent relationships with those suppliers. This was identified by Dunleavey throughout his career and when the opportunity arose with friend and colleague Kelly to set up their own venture, they set out to offer an alternative to frustrated businesses.